DC’s “younger sister,” Bethesda is a cultural hub of the DC area. With over 200 restaurants, there’s no shortage of good eats and activities to get up to. Whether it’s going to see a show at the Strathmore Theatre, taking a stroll down the Capital Crescent Parkway, or going out for a night of bowling at Bowlmor Lanes, Bethesda is the perfect place to live when commuting into the city. We make sure that commute is as easy as possible, which is why we are proud to offer apartments of all shapes and sizes just 1 block from the bethesda metro station, servicing the red line. 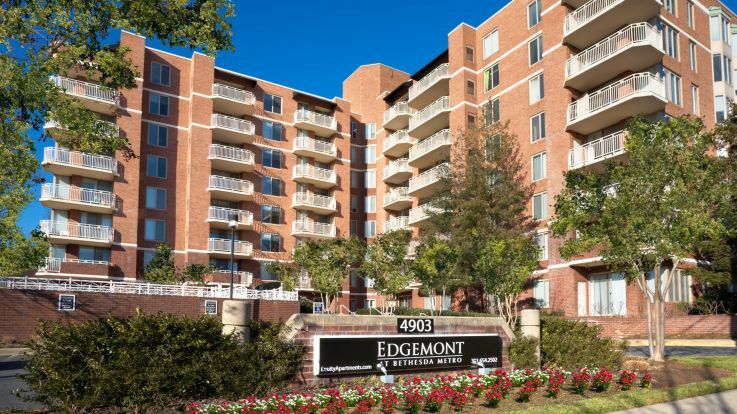 In addition our Bethesda apartments near the metro offer some incredible niceties as well, including an outdoor swimming pool, a fitness center, and two outdoor grills.